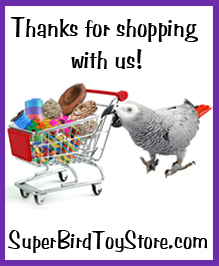 Home > Bird Toys > Medium Bird Toys > Holy Gumballs! 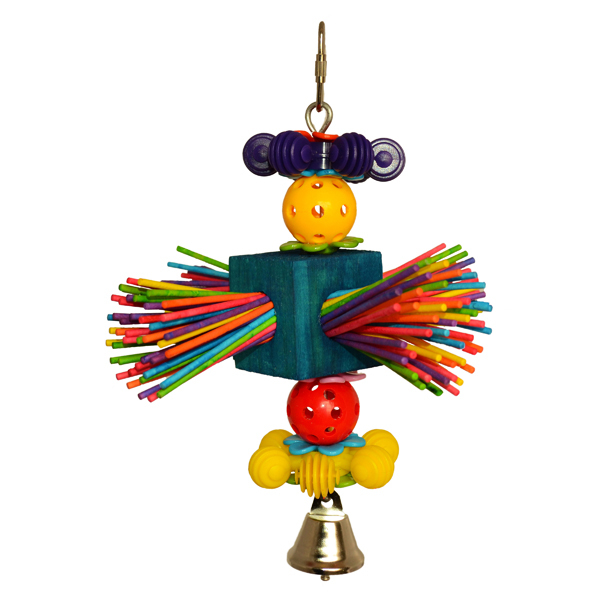 9.5 x 6.5 x 6.5"
Hard plastic gumball beads aren’t the only thing your medium size bird will love about our “Holy Gumballs!” hang toy. 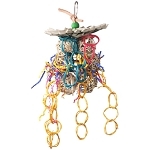 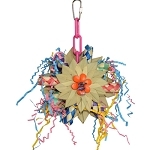 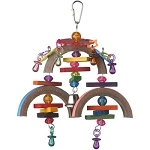 Grooved plastic spinners, hard plastic flower charms, a chunky wooden block stuffed with colorful paper lollipop sticks, and a nickel-plated silver bell are sure to captivate your bird’s attention. 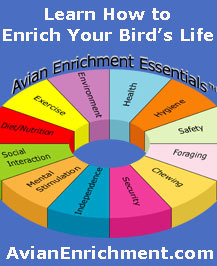 With its myriad components, Holy Gumballs! 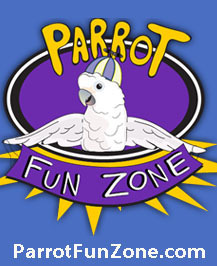 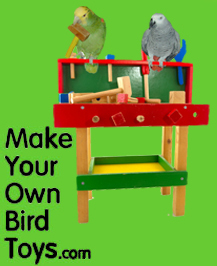 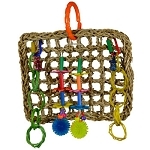 will satisfy the tactile, auditory, and visual needs of your bird!